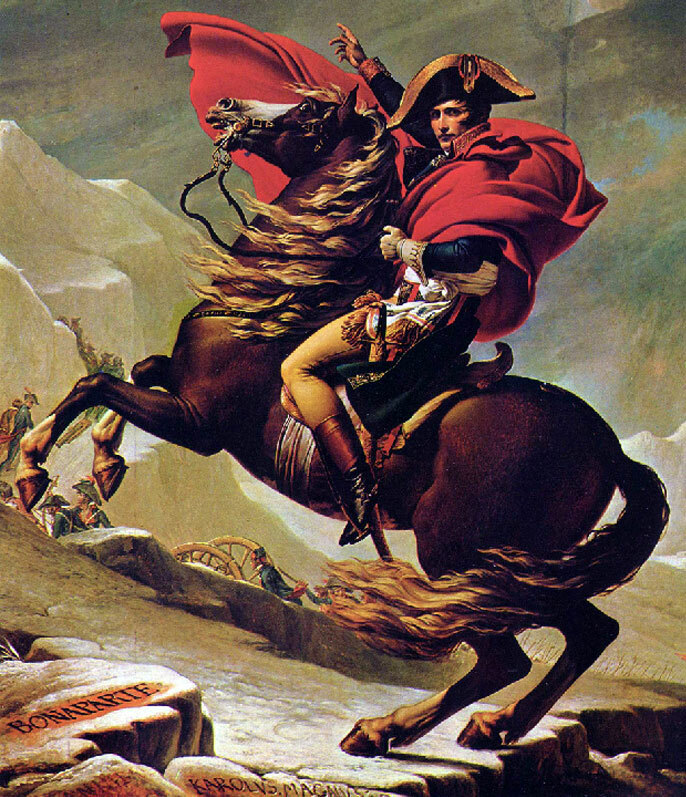 The French ruler Napoleon Bonaparte (1769-1821) was in Ajaccio on the Mediterranean island Corsica born. He crowned himself in 1804 in perceived succession of Charlemagne (742-814) himself emperor. Apart from his public activities, one also knows a great deal about his private life, because there exists a multi-volume biography which describes every day of his life in at least a few lines from the age of twenty. From his personal inclinations is well known by numerous anecdotes that he loved tobacco, women and wine or champagne. At least three wines are claimed to be his favorite wines were. The most common is the red wine (from Pinot Noir) from the famous Burgundian Appellation Gevrey-Chambertin on the Côte de Nuits, but he often diluted with water. The second is the precursor of the white one Pouilly-Fumé from the upper Loire. And the third is the forerunner of the red Rossese di Dolceacqua from the Italian region of Liguria on the French border. Most of the best wines were also mixed with water.